Which types of flooring have the best ROI, if you are selling your home? What is true below in New York is pretty much true here in the Pacific Northwest as well. Except for bedrooms & utility rooms, carpet is the least desireable flooring anywhere in the home. 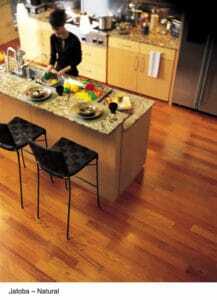 If you can't afford new hardwood flooring or tile, laminate that looks like hardwood flooring is the best option. Also, because of so much foot traffic & water, I recommend tile or laminate in kitchens. One of the most frequent questions I get from homeowners who are selling their home is "What types of flooring will have the best return on investment." I also have many real estate agents and home stagers asking me this question, so I know it's an important issue, especially if you intend to sell your home now or in the next 2-3 yrs. I work with a lot of new homeowners right after they close on a home, so I see all the changes they make + I work with a lot of customers and stagers who are putting their homes on the market. Also, I'm seeing a trend toward fixing up the home 2-3 years before homeowners intend to sell. I think this is really smart as you get to enjoy the improvements you make + sell at a higher value. It also helps you balance out your expenses over a longer time period. Disclaimer: Of course everything needs to be evaluated in the context of the condition of the home and its neighborhood. The "standards" are different based on what you are comparing against, but here are some general guidelines. 1. Sanding and refinishing existing hardwood floors is almost always your best investment. If you have hardwood floors, you are in good shape - hardwood sells and it helps define the value of your home. If you have hardwood floors, and they are beaten up, your first consideration should be to refinish the floors. Most real estate agents anecdotally tell me that you will get your investment back three fold on this...and, it makes sense. First, refinishing your hardwood floor is not that expensive...and usually costs less than people think. It is amazing how much better your home will look if you refinish the floors. You have the option of changing the color or leaving the same color. Lighter colors make the space look larger and more airy and informal; darker colors are more dramatic and give the home a more formal and sophisticated look. Satin finish is usually the preferred sheen (90-95% of my customers choose this) and it tends to show the scratches less than a semi gloss finish. Second, if you have pet stains in the hardwood, they can usually be fixed by replacing these sections and weaving the hardwood in, and after they are refinished, you will never even notice the new pieces (assuming you hire a professional). Third, if you have hardwood underneath your carpet, by all means, rip up those carpets and refinish the hardwood...you have just found a gold mine. Hardwood sells; very few customers want carpet...not to mention that your carpets are probably dirty and may include your smell...and the buyer will want to rip those out anyway. And, believe it or not, it is almost always less expensive to refinish your hardwood than to recarpet. A potential buyer who sees carpet is wondering "how much will it cost to rip out the carpet and add hardwood." This factors into whether or not they even make an offer not to mention how much that offer is for. So, if you have hardwood under the carpets, show it off...and you will automatically improve the value of your home and how many people are willing to make an offer. It is usually a no brainer. Fourth, if your floors are beaten up and you don't refinish them, many will assume that you don't take good care of your home, and that they are likely to find other hidden issues during the inspection. 2. Add hardwood flooring to key rooms, if you can afford it. 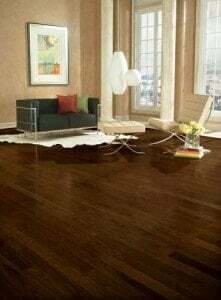 Most homeowners in Westchester NY strongly prefer hardwood for the main living space or common areas such as living room, dining room and family room. Many prefer hardwood for the master bedroom, too. If you have hardwood in those areas, you are set, if you don't, you may want to consider investing in hardwood for those areas - provided you have the budget to do so. You will definitely get back that return on investment - probably at least two fold. I understand that many selling their home do not have this luxury, but if you can afford it, by all means invest in the hardwood flooring (rather than carpeting) for those areas. 3. If your carpets are dirty and/or smelly, it's usually best to replace them. Please note that trading up to hardwood, will usually get you a great return on your investment (unless of course you live in an area where hardwood is not the norm), but replacing the carpeting will not improve your selling value. Rather, it will allow you to capture the potential selling price of your home in good condition. It will probably also enable you to sell your house sooner as it will appeal to more buyers...or said another way, prevent buyers from being turned off by your home. My guess is that you will get back this investment and just break even. (But, if you don't do it, you will likely need to lower the price of your home and it may stay on the market longer resulting in another price reduction). 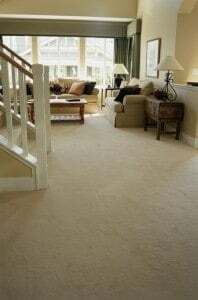 Always select a neutral color for carpets as that will appeal to the largest set of potential buyers, and generally lighter is better as it will make the space look larger and cheerier, and it gives you a sense that the home is clean. - If the there is vinyl flooring and it's coming up, consider adding laminate on top...or potentially hardwood (tile flooring can work too, but it is more expensive and hence usually a lower return on investment). 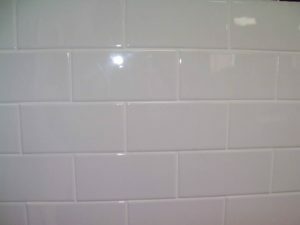 - Add granite countertops, if you have laminate countertops and they are falling apart. Most likely, you will break even on these minor upgrades...but more importantly, you will have a much more sellable asset, as you've been able to eliminate major eye sores that scream money money money to the buyer. You want the buyer to feel that they can live with the kitchen as it is for a few years. But, as I mentioned, kitchens are tricky business, and there is no one size fits all since there is a whole array of how the kitchen can look and this all needs to be in the context of the neighborhood. Your real estate agent is the best judge of what is needed and what will sell. If you do make changes, make sure that they a neutral and not taste specific...remember, you are trying to appeal to the widest audience. These are my top recommendations on flooring improvements if you are selling your home soon...or in 2-3 years. Every situation is different, but these tend to be the items that usually tend to provide the best return on investment. Please consult your real estate agent for advice here as they know your area and the other comparables on the market best. Feel free to call The Flooring Girl, if you have any questions about Flooring in Westchester County NY 914-937-2950.